An exquisite Rococo period side table with a decoratively carved apron, elegantly curved cabriole legs and beautiful light grey patina. 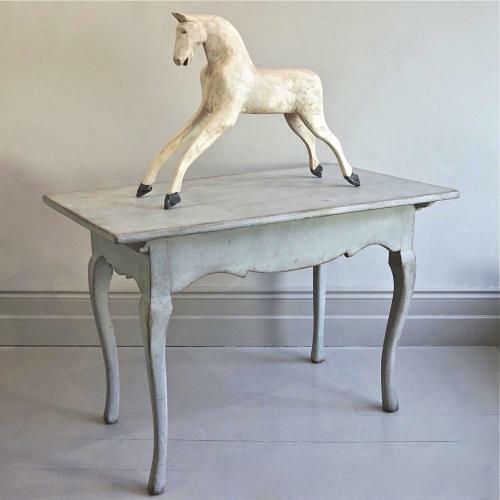 This charming 18th century piece could be used as a side table, console or desk. Swedish circa 1750 - 1760.